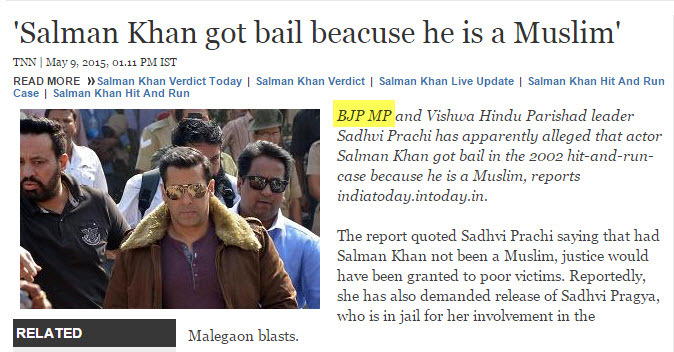 According to reports published by many media houses, Vishwa Hindu Parishad leader Sadhvi Prachi has stated that Salman Khan got bail in the infamous 2002 hit-and-run-case because he is a Muslim. This is not the first time when Sadhvi Prachi has made some controversial remarks, however, this is not even the first time when media, even after already being criticized for misreporting her political rank, has promoted her to a BJP MP position. As highlighted by us, in March 2015, based on a PTI report, many media houses published a story that a “BJP MP” has asked to boycott films by the Khan trio. 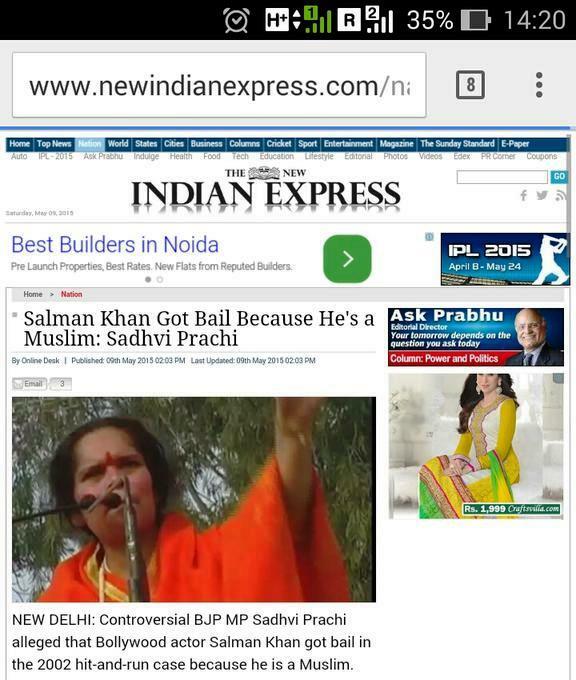 Sadhvi Prachi was never a BJP MP. In fact, she was recently hauled up by BJP UP president for her irresponsible remarks. 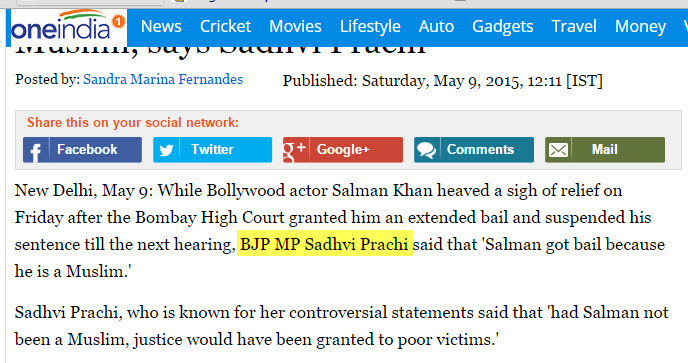 After people questioned the media houses, they removed the BJP MP part from Sadhvi Prachi’s designation. However, to our surprise, she was again elevated as a BJP MP, after her Salman Khan remarks, by many of those organizations who were slammed by people in March for misquoting the same mistake. The Lok Sabha and The Rajya Sabha members lists don’t have any member named Prachi. It is not expected from journalists to remember names of all the MPs and MLAs, but it is expected that they confirm some basic details before quoting someone. The way media houses are coming up with articles having the same fundamental error again and again, the only consolation which most of these would be sharing after each misreporting is that they committed a blunder which other media houses also did, or have been doing.